A lot of things in life “just happen.” Some call it a coincidence. To me, it’s meant to be. 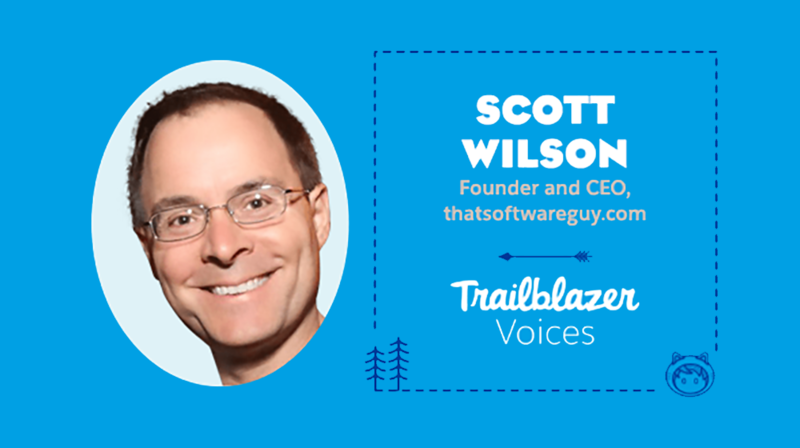 My journey as an entrepreneur — along with my journey discovering Salesforce — were exactly that. Owning a business wasn’t a part of my life plan. In the mid 2000s, however, someone I had worked with during the tech recession got laid off. His next plan was to start a small business. He asked if I could help build an online shopping cart on his business’s website. I agreed to take on the job to develop his ecommerce business. At the time, not many shopping carts were available. Zen Cart was one of the best open-source options available — and I didn’t waste any time helping him set it up. In fact, I became really good at it — thanks in part to my computer science degree and 15 years of professional experience as a software developer. Remember that 15 years ago, many people who called themselves “web developers” had no real experience at all; they just knew how to put simple HTML tables together. What I loved most about Salesforce Essentials is that it gave my productivity a boost by helping me organize all of customer my data is in one place (easily categorized by customer). Before implementing Salesforce Essentials, I used a disconnected patchwork of other tools—Evernote, Google Drive, local directories on my Mac, etc. — to attempt to keep track of this information. Many people have a misconception about entrepreneurship. People think that being an entrepreneur means spending all your time doing what you love – whether it’s baking, plumbing, computer programming, or whatever. But you won’t! You’ll also spend a ton of time doing operations, business development, and sales to grow your business. The secret to success is learning to take pleasure in those things, too — even if they aren’t the most fun tasks — because they’re all part of running a thriving business. It doesn’t start with a logo, an idea, or even printed stationery. It starts with your customers. Those are the people who choose to buy what you have to sell. Once you have customers lined up, everything else, more or less, falls into place. Without customers, however, all you have is a hobby, not a business. Don’t get me wrong, there’s nothing wrong with hobbies. But if you want to have a business, you need customers – and you need to learn from them – their wants, needs, and expectations – every step of the way.